Height from Floor to Top of Back: 40 1/2"
Height from Floor to Top of Seat: 17.25"
These chairs are beautiful!!! The craftsmanship is beyond compare!!! The quality of wood, the color , the comfort and the shipping.... I can not say how thrilled I am with my new dinning chairs. I am so glad to have found you. 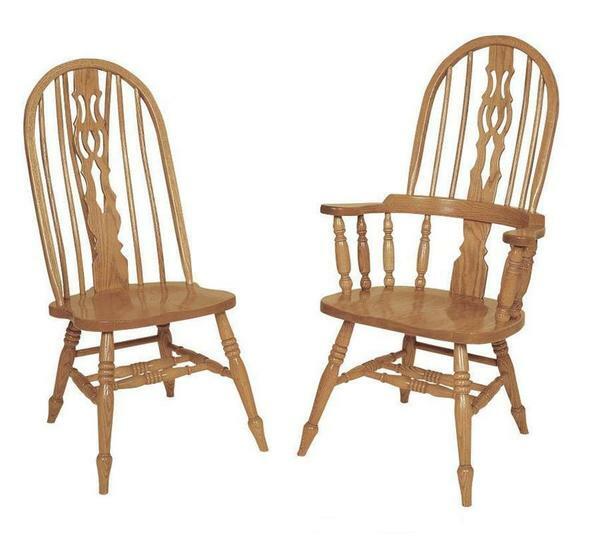 Mary ordered our Amish Bow Back Bent Fiddle Slot Dining Chairs - these chairs were ordered in the Oak Wood and finished in OCS 101 S-2 stain and they were made with the regular wood scoot seats.